American G.I.s who trespass on a Hindu ceremony are hunted down by a beautiful woman who has the power to transform herself into a cobra. Q: Hedda Hopper Wrote What About "Mantis"? 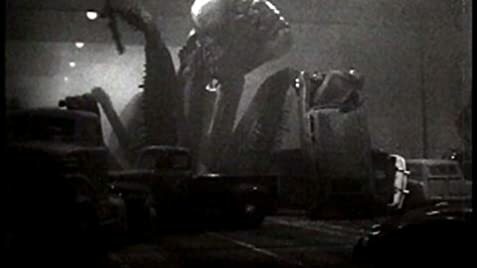 Although the intricacies of the plot are forever unbelievable, this film works very well both as a suspense film and also as a creditable "Giant Bug" film, so typical during the 50's Golden Age of Science Fiction. A giant Praying Mantis is preserved in the ice of the Artic Ocean, only to be dislodged by man's environmental meddling. The bug flies over various places in the Artic eating human beings as it makes its way toward the Equator. 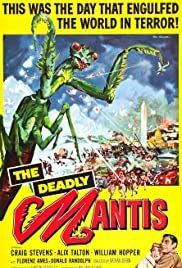 The task of destroying the giant insect befalls to three protagonists: Craig Stevens the military man(and romancer), William Hopper as the dedicated paleontologist, and Alix Talton as the hungry reporter/photographer/necessary female character so that main character can fall in love. The three manage to find the mantis and well....let's just say the poor creature didn't say his prayers TOO often. The film is tight, has lots of action, and is a great entertaining diversion.